Wheatgrass002Wild Greens ~ How to Juice them! Drinking them in tinctures and/or herbal infusions are quite different from juicing them. Just make ‘sure’ you know your greens. This is why we say, purchase them from stores, instead of randomly picking them up in the fields of parks or forests. 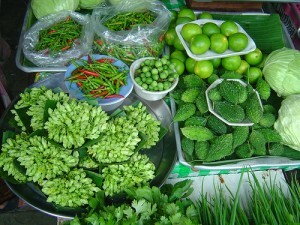 Miraculously these two little greens pack a powerful punch when they are juiced. And no, the stinging Nettles do not get into your throat when you juice them! And no, the yellow flowers are not suggested for juicing. Most all Farmer’s Markets have them, and Co-ops have them in the summertime. Ask your grocer, and ask your farmer’s market people. If they don’t carry them, they will most likely know where you can go to find them. Dandelion Greens are best picked when they are young. The older the leaves, the more bitter they will be. Jay and I love the kinds of Dandelion Greens that have a red stem to them. They have a bit more iron in them. Comfrey leaves follow the Dandelion Greens as far as picking goes. But if you don’t have them growing in your neighborhood (we don’t really suggest doing this because people use pesticides on their lawn and also pesticides for spiders, so we suggest buying them from the Health Food Stores, Co-ops and other Farmer’s Markets. Helpful information: An effective tonic for gout, weak or overburdened liver/kidneys, nettle is also good fiord the symptoms of hay fever, scurvy, PMS, and helps heart patients. (Just as an FYI….these greens are very potent, and we suggest you start slowly, and don’t drink more than 8 ounces at a time) because you may incur a bit of diarrhea, intestinal cramping or nausea. This recipe will give you 8 ounces, and diluted enough to where you can juice this tonic once a day for ten days without having any kind of negative reaction. If you want to amp it up a bit, then double the recipe. The Magnificent Healing Power of Dark Grapes! My father used to make his own wine, from our home when I was just a boy. Our entire extended family did as well. I came from a small island off of Yugoslavia, called Vis. All of my culture made wines from the darkest of grapes, the finest of grapes. My father and mother, since coming to the Los Angeles area to live, continued on with this tradition, and my father taught me how to make home made wine with him. We drank wine (up until I was 12 I had to drink it half water/half wine) at dinnertime. Just as a side note, both my mother and father were exceptionally healthy, never had any kind of heart disease. My father lived until he was over 103 and my mother died when she was 97, out of a broken heart, I’m sure. They were married over 75 years and I don’t think she was able to survive without him. One day my father ate too much for dinner while celebrating someone’s birthday, and then the next day he died, albeit not of a heart attack, rather just old age. So please remember, that we MUST find ways to consume grapes, frequently, as now of course the research is coming out about how powerfully healing and healthy they are for us to consume regularly. I have seen, in my lifetime, the evolution or should I say the devolution of Grapes. Many more of us are eating them, but I am not sure we realize the hazards and misconceptions of Grapes. Most grapes have approximately 20 to 30, if not more, pesticides on them, so if you are to consume them, please ONLY buy them organically. Further, always try to buy darker grapes with SEEDS. Since the 80s, we have seen the devolution of the seeded grapes, which is heartbreaking to me because dark, seeded grapes are where all the reservatrols, flavanols, phenolic acids, and yes, even melatonin are. Grapes have garnered so much attention lately, and some consider them to be the perfect fruit. Relatively low on the Glycemic Scale (especially the darker, more bitter grapes), they can be consumed without worry. and finally Cancer prevention, with risk of breast, prostate, and colon cancer emerging as the most likely areas of grape anti-cancer benefits. GRAPES are one of the worst fruits found with the MOST pesticides, so please only buy organic, and try to buy the darker, with seeds, Grapes. I do not recommend green Grapes, as most of them have been hybridized to the point of no return. Grapes that have no seeds are grapes that cannot benefit, that’s my position. Place all ingredients into your blender, and blend slowly until you have reached the desired consistency. You can also ADD ice, but since it’s wintertime, (unless you are living in Australia/New Zealand) i wouldn’t recommend it. If you are wanting to make this for breakfast I would recommend adding a tablespoon of flax seeds. Photo: The Power of Grapes! Are The Latest SuperFoods The Only Way To Good Health? With all the media coverage we see almost every week about the latest food discovery that is supposed to make us super-healthy, you might get the impression the only way to live long and prosper is to make all these “superfoods” a part of your everyday eating plan. Don’t get the wrong idea here. This isn’t about knocking all the exciting nutritional science and research we have been reading the last few years. Quite the contrary. But we also need to remember that many of the foods that sustain us and provide us with the bulk of our nutrients have been on the tables of Americans for centuries. Unfortunately these simple foods are being pushed aside, forgotten or just left out of our daily diets and instead replaced with packaged, processed and takeout foods. Don’t forget – it’s what we eat on a daily basis that makes the difference in our health, not what we eat once-in-a-while. Today I want to talk about three vegetables that have been providing gobs of nutritional value to humans for thousands of years. Vegetables, specifically carrots, celery and onions should be a part of your daily food plan. The French call this combo mirepoix. Let me share some information about each one. 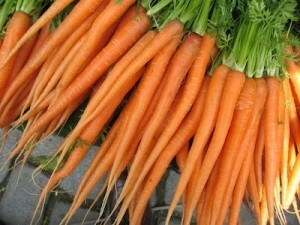 Either as juice or grated and added to your salad, carrots are jam-packed with nutritional value. Of course most of what we read about is their beta-carotene content, Carotenoids, an antioxidant with cardiovascular benefits, anti-cancer benefits, vision health and all of this is well researched. Some recent studies are centering in on other phytonutrients in carrots called polyacetylenes and include falcarinol and falcarindiol. Recent studies are showing these phytonutrients can help inhibit the growth of colon cancer cells and that these nutrients along with the carotenoids actually work in tandem and need to be together to show the best protective effects. This means the whole carrot as opposed to individual elements. Again, the idea of eating the carrot or juicing it comes out on top as the best way to get what we need from our vegetables. Either as a juice or in your salad, celery is great for helping with the sodium-potassium balance most of us have inverted with too much sodium. 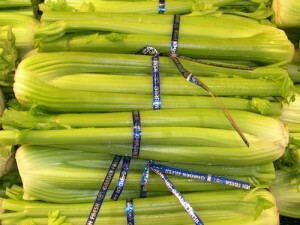 Celery contains about 340 mg of potassium and 125 mg of sodium per 100 gram serving. Foods with a 3 to 1 potassium to sodium ratio are purported to be good for hypertension. 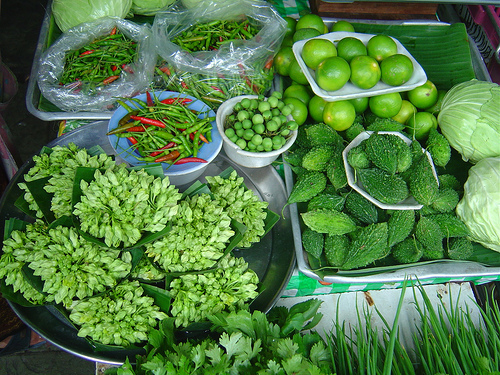 Celery has been shown to lower blood pressure due not only to the electrolytes but also for a nutrient called Apigenin which dilates the blood vessels and for 3-n-butylphtalide (3nb) which relaxes the smooth muscle linings of blood vessels, as reported by researches at the University of Chicago. Through their animal study, they were able to show a 14 percent reduction in BP readings, for an average of 15 points. This one we generally do not juice, although you can do that, it’s usually added to salads, etc. Onions have enormous benefits for your body. Studies show just a few servings of onion each week can lower your risk for colorectal, laryngeal, and ovarian cancer. However for decreased risk of oral and esophageal cancer, the recommendation is 1/2 cup of onion per day. 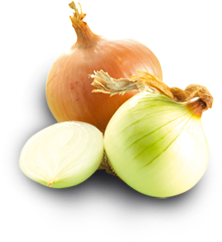 Onions are also high in sulfur compounds which provide many of their health-promoting effects. Most of us do not eat enough sulfur-containing foods on a daily basis as our ancestors did and onions will help. They also contain polyphenols, including the flavonoid polyphenols. One of the most important of these is quercetin which provides anti-inflammatory benefits. New information is also telling us to not over-peel our onions because most of the flavonoids reside in the outer layers, just under the skin. Rinse them well and then take off only the first layer of the skin to preserve all the nutrition you can. As you can see, even the more common vegetables are just as nutritious, or even more so than the ones we are reading about in recent headlines. Use your Jay Kordich PowerGrind Pro to juice them or put in your salads every day. Not only do they add great taste to your meals, they also protect us and sustain us and make a great addition to our daily diet. Bring Home a Watermelon Today and Juice It! It’s time for our annual watermelon post. We see them everywhere now, at grocery stores and farmers markets waiting to be made into healthy, thirst quenching pitchers of juice for you, your family and friends. One of the more interesting things about watermelon is how the sugar content effects blood glucose. A few decades ago a new index was developed called the Glycemic Index (GI). It measures how quickly the food item can raise your blood glucose level. But the amount of food used to determine the index number is larger than most people would consume. Another way to measure the impact of various foods on our blood glucose is called Glycemic Load (GL). This new measure gives us a more realistic indication of what to expect when we consume, say, watermelon. For instance The GI of watermelon is 72, which is quite high. However the GL of watermelon is only 7. This is because watermelon is only 6% sugar and 91% water and this helps balance out your body’s response, glucose wise, to watermelon and it’s juice. Additionally, when you juice it with the rind, you are lowering the relative sugar content in a glass of juice even more. The body converts citrulline to the amino acid arginine by using enzymes. Arginine works with the heart and circulation system to maintain a healthy immune system. This citrulline-arginine relationship also boosts nitric oxide which relaxes the blood vessels, the very same thing Viagra does. This helps with high blood pressure and other heart problems. Watermelon has been shown in the latest studies to lower blood pressure just as effectively as drugs and with zero side effects. The raw, natural water of the watermelon, rind and all, is loaded with enzymes, minerals and vitamins the body craves therefore you are doing yourself a big favor by drinking a glass of watermelon juice. From 1949 through the 1980s Jay Kordich traveled across the country demonstrating juicers and educating people about the health-giving properties of fresh vegetable and fruit juices. 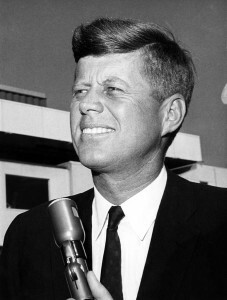 It’s 1963 and Jay is demonstrating at a store in Washington D.C. when he is told President Kennedy’s office called the store, asking to find out when Jay would be making juices. Next thing you know, The President came to see and learn for himself about fresh juices and sampled many different juice combinations Jay made for him. The very next day the White House called again, only this time they ordered 40 juicers from Jay. Watch the video and see Jay tell us what transpired so many years ago. After overcoming bladder cancer by using Dr. Max Gerson’s juice therapy, Jay wanted people to know about the power of fresh juices. Realizing that no one else was demonstrating juice machines, he decided to do it himself, starting with county fairs and health stores, followed by department stores. 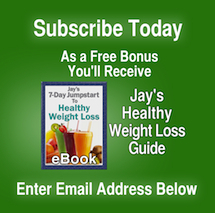 From 1949 through the 1980s Jay traveled across the country demonstrating juicers and educating people about the health-giving properties of fresh vegetable and fruit juices. Here are links to Part One and Part Two.